Climate change is projected to increase the frequency and severity of wildfires, warm stream temperatures, and negatively impact native trout habitat. Southwestern native trouts are often isolated from nonnative salmonids above conservation barriers and have a limited ability to recolonize after disturbances or move to track changing environmental conditions such as stream temperature. 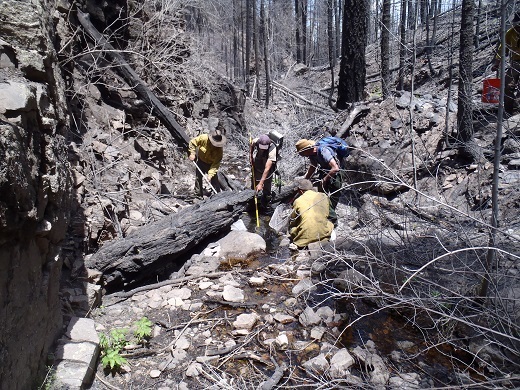 We combined wildfire, debris-flow, and 2080s stream temperature models to identify Gila Trout Oncorhynchus gilae habitats least vulnerable to these threats and guide conservation efforts. Wildfire risk, debris-flow probability, debris-flow volume, minimum 2080s mean August temperature, and kilometers of habitat with 2080s August temperatures <18.5°C were summarized for each Gila Trout stream and ranked for overall vulnerability. 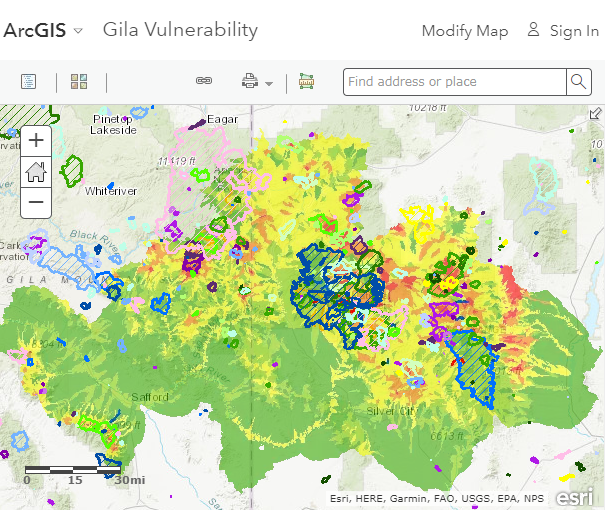 The vulnerability rankings can be used to inform conservation actions such as reintroductions, habitat restoration, or nonnative fish eradications while considering these climate-related threats and other factors. Conservation decisions mindful of climate resiliency will best ensure that these unique but threatened native trouts remain on the landscape in the southwestern U.S. in future climates.